The largest cities on the shores of Lake Geneva are Geneva and Lausanne in Switzerland. Other notable towns include Nyon, Montreux, Morges, and Vevey in Switzerland and Thonon-les-Bains, Évian, and Yvoire in France. Although most of the shores of Lake Geneva (Lac Léman) are populated, urban settlements are relatively small. Most towns are on the northern lake shore in Switzerland while the French southern side is more sparsely populated. Geneva (population 190,000) and Lausanne (130,000) are the only two cities in the Lake Geneva region with around a million people living in the larger metropolitan area around Geneva. Most other towns are small – only Thonon-les-Bains (32,000) and Montreux (25,000) have populations exceeding 20,000. The inhabitant of the Lake Geneva region are relatively rich and well eductated. As a result, more culture and entertainment are available here than would normally be expected in such small cities. The Lac Léman region is rich in cultural events and festivals with endless outdoor activities too. Wine and good food are appreciated with many fine hotels and restaurants available in even the smallest towns. Geneva (Genève in French, Genf in German) is the largest and most visited city on Lake Geneva. Geneva is famous as the seat of a large number of international organizations and companies. Geneva has the largest number and variety of hotels and restaurants in the region. Hotels are pricey, especially during major conferences, but bargains are available during quieter periods. Major attractions of Geneva include its lovely waterfront with expansive parks, museums, a compact old town, high-end shopping, and vibrant nightlife. Geneva has an excellent public transportation system, which seamlessly integrates trains, trams, buses, and boats into a single transportation ticket. Geneva International Airport (GVA) is only minutes by bus or train from downtown while high-speed trains run from Geneva-Cornavin Main Train Station to all parts of Switzerland and France. Excellent train connections are available from Geneva to Lausanne and all towns on the northern shores of Lake Geneva. Lausanne is for many the more beautiful city on Lake Geneva. It has a less international feel than Geneva with a larger permanent population and a more loved appearance. Lausanne has fewer hotels and not necessarily cheaper than Geneva. Lausanne is the capital of canton Vaud (Waadt in German) and has a large student population. Lausanne is beautifully located on several hills that make for steep slopes but lovely views and panoramas. Lausanne’s waterfront area in the Ouchy neighborhood is hugely popular with outdoor enthusiasts. Lausanne has a few interesting museums, including the Olympics Museum, arguably the most interesting Gothic church in Switzerland, and fine shopping at less expensive prices than in Genève. Lausanne has an excellent public transportation system with bus and train links to all nearby towns. 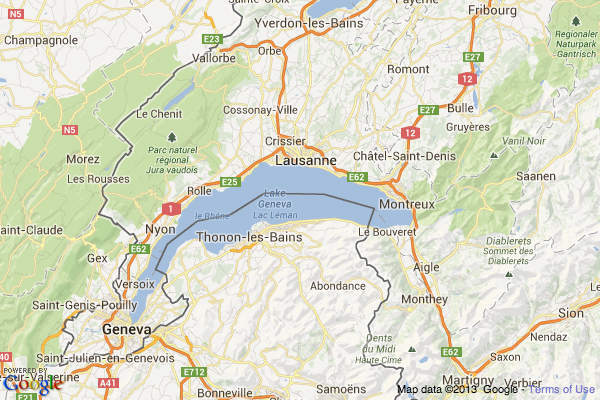 Lausanne also has excellent rail links to Geneva, Paris (TGV), and all parts of Switzerland. Passenger ferry boats link Lausanne with Évian and Thonon-les-Bains on the French side of Lake Geneva. 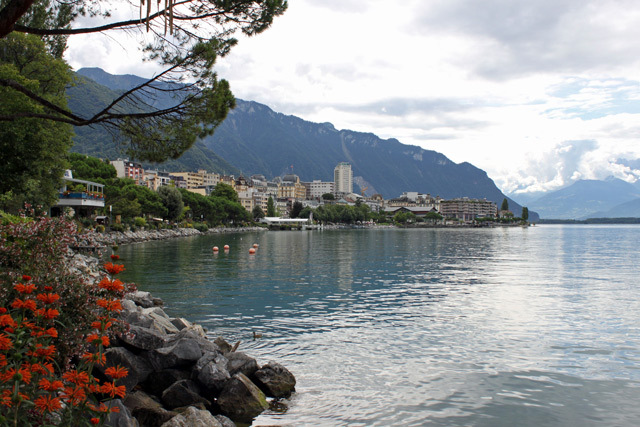 Montreux is probably the most famous town on Lake Geneva. It is mostly associated with the annual Montreux Jazz Festival but it is also a lovely town to visit year round. Its waterfront with posh hotels is beautifully maintained with manicured lawns and flower beds. It plays host to the best Christmas market in the French-speaking part of Switzerland. Nearby Chateau de Chillon is the most popular historic castle in Switzerland – Buy tickets online. Prosperous Vevey sports the head quarters of Nestlé, an interesting food museum (Alimentarium), a large Camera Museum, a lovely waterfront area, and is the gateway to the UNESCO World Cultural Heritage-listed Lavaux vineyards and wine-growing region. Morges has a lovely castle with several museums, a small old town, inviting waterfront area and houses several events and festivals each year including the spectacular (and free) tulip festival each spring and the historic British car meeting early in October. Nyon’s white castle offers spectacular views of Lake Geneva and the French Alps. On a clear day, the views reach to the Jet d’Eau in Geneva and Mt Blanc in France. A regular ferry boat service links Nyon with medieval Yvoire on the French side of Lac Léman. 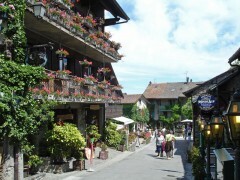 Évian-les-Bains is the most famous Lac Léman town in France. This spa town, famous for its water, is a popular summer resort with many spa facilities and cultural events. The passenger ferry boat to Lausanne is often the best transportation method. Yvoire is probably the most picturesque town on Lake Geneva. This small town kept much of its medieval look and is a hugely popular tourist day-trip destination. The passenger ferry boat to Nyon offers the easiest public transportation to Yvoire.